From Trebinje we crossed back into Croatia, and did the tourist thing at Dubrovnik, checking out the old city. It was really busy, tourist coaches everywhere, but being right on the water made it better than most. I'm almost over old cities now, but this one was worth seeing. The coastline along here is fantastic, the weather bright and sunny, and the Med was as flat as, and glassed out, no wind. 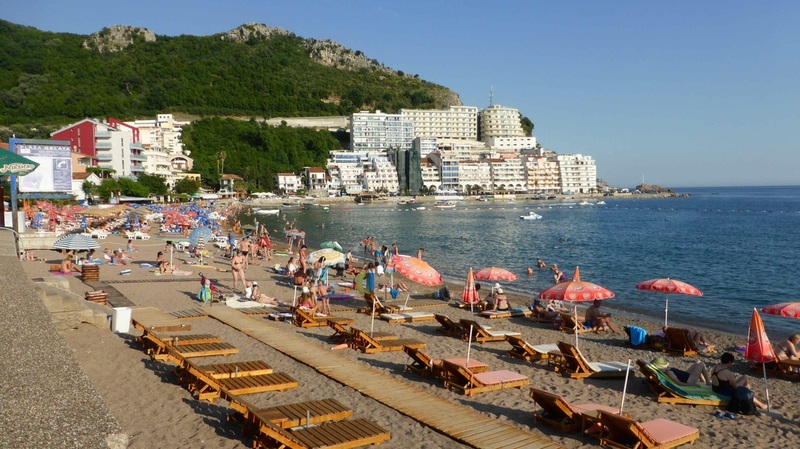 Further south, we crossed the border into Montenegro, and rode around a huge inlet that goes for miles, down to Budva, where we had a room booked for two nights. This was the address we had given the bank to send our replacement cards to, so a big sigh of relief when they were there when we arrived. We had a vege day the next day, apart from changing rooms as the shower was blocked, air con didn't work, and nor did the fridge. A swim, off to the casino that night to make our donation, then listened to the band for a while, a good day.